Landing Lion is a drag-and-drop landing page builder that allows users to create mobile-friendly pages, even for those without coding knowledge. It also provides users with split testing and campaign analytics. We compiled Landing Lion user reviews from our website and around the web and determined that it has generally positive ratings. We also shared its available pricing options. Users who gave Landing Lion a positive review said that its drag-and-drop builder is simple and easy to use, which enables them to create professional-looking landing pages quickly. Some users also appreciate its builder’s wide range of customization options. Users who gave Landing Lion a negative review said that they would like to see more formatting capabilities, features, and essential integrations with its builder. A few users also cited that it would be better to see tutorials once they log into their account. One user who gave Landing Lion a negative review on G2 Crowd said that the builder has limited text formatting features. She also added that the software lacks the ability to save templates from content/design blocks they created, which could be reused in other landing pages. Landing Lion offers one free plan (Exploring) and three paid subscription plans: Launching ($29/month), Growing ($99/month), and Scaling ($249/month). The main differences between the plans include the amount of file storage included, number of customized domains allowed*, traffic limit, and more. *For the Exploring plan, it only comes with a Landing Lion domain, while the three subscription plans come with a specific number of custom domains each. 6 Best Website Builders for Small Business 2018 — Read our buyer’s guide for a comparison of the top six website builders for small businesses. We compared each of them to give you an idea of which website builder will work best for your business needs. Does Landing Lion’s free plan expire? No. 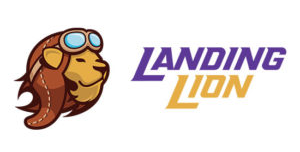 Landing Lion’s free plan does not expire. You can enjoy building your customized pages with your Landing Lion Exploring account for free for as long as you want. How many domains can I add to my account, in addition to what is already included in my pricing plan? You can add an unlimited number of new domains to your account. 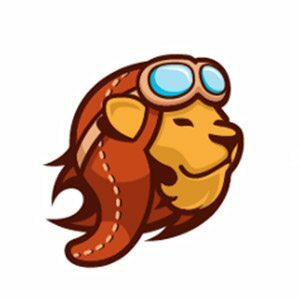 Landing Lion charges an extra $5/month for every custom domain added. This fee will be charged once the number of your desired custom domains exceed the number that is already included in your plan. Can I export codes from my customized Landing Lion pages? No. You cannot export your web pages’ codes from Landing Lion. This video provides an overview on how Landing Lion can help its users build their landing pages using its drag-and-drop builder, with no coding knowledge required. Not sure if Landing Lion is the right fit for you? Read our reviews of all top landing page builder providers or check out one of these three Landing Lion competitors. This is an excellent simple-to-use landing page builder. Best on the market. I wish i had known about them even sooner. Landing Lion makes it dead simple to design a gorgeous, responsive landing page. Their tools integrate well with other platforms, making it a breeze to track and follow up with leads. The product is simple to use, easy to understand all while being incredibly well put together and professional. Your site will look professional whether you have web design skills or not. The drag and drop aspect is smooth and provides a huge range of options so that you are able to build the site you want. I think a better tutorial right up front when you first log in could be beneficial and also a few more integrations would be ideal. I was just a bit unclear in regards to workspaces versus organizations in the platform. They make it incredibly easy to create and deploy landing pages without having to depend on a traditional CMS which come with restrictions. They are currently limited on integrations and features. Limited features for the UI. I’ve been waiting on a MailChimp version for web pages for a while. I built my entire website. Customer support is quick and helpful. Pricing is competitive with the other landing page builders (instapage, leadpages, unbounce, etc), so I spent a long time debating between the 4. I wish I would’ve known the depth in which their product supports, it would’ve made my decision much easier. They seriously need to update their website to describe the value more.